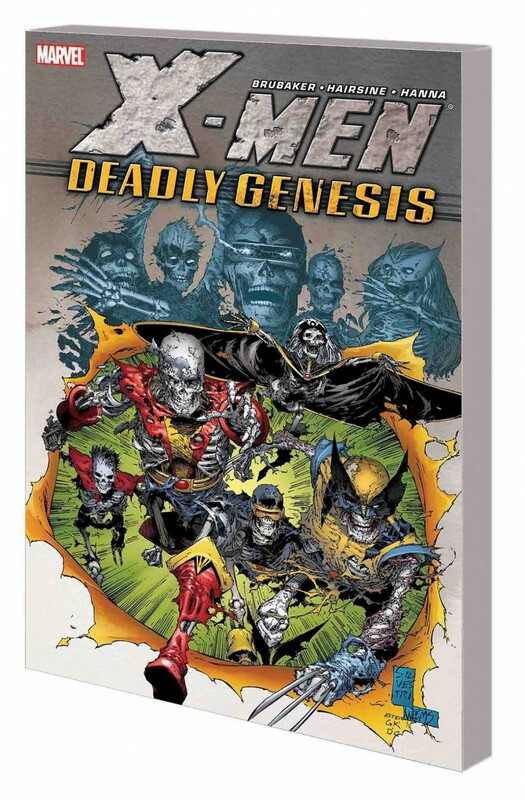 Collects X-MEN: DEADLY GENESIS #1-6. Professor X’s darkest secret revealed! What happens when the skeletons in your closet finally break down the door and come looking for you? The X-Men are about to find out! In the wake of the tragic events of the House of M, the mutant community is in turmoil, and the X-Men are bearing the brunt of coping with this new world order. Amid the chaos, a new enemy awakens, one whose very existence will haunt the founding members of the X-Men like nothing has before. Who is this new threat? How is he tied to a long-hidden episode from Professor X’s past? Cyclops, Wolverine and the others must find out soon, before they and those closest to them go mad!